Remove red wine stains easily and quickly. Since 1997 Wine Away red wine stain remover has been the number one choice for removing red wine stains from carpet and clothing. 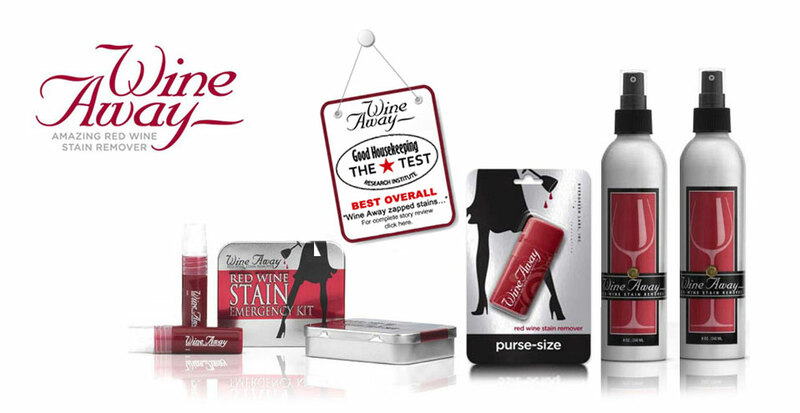 Revered by media critics worldwide, Wine Away's stain removing power continues to perform. Wine Away removes red wine stains from BOTH fresh and dried stains and is ready to use when you need it – there's no mixing involved – just spray, wait and voila! Wine Away has a fresh citrus scent, is readily biodegradable and does not contain bleach or phosphates.